Where has the time gone? It seems like forever since my last recipe post but here we are. Launching and running a retail bakery requires more than I could have ever dreamed or imagined. I simply do not have the vocabulary to quite articulate so I won’t. What I will say is that you should stay tuned for many new exciting web based and social media developments pertaining to our bakery and in the meantime get into this wonderful sweet tea recipe. Made with fresh bee balm leaves from my herb garden, I had to create something from the garden before summer officially ends. This sweet tea is simple to assemble and more than healthy. Bee balm is a member of the mint family and you can definitely taste an essence of mint and honey in its leaves. This tea can be used to soothe upset digestions, calm wild nerves, soothe a sore throat, or an upset tummy. Or like me you can make it just for fun. It’s great served hot or cold and is the perfect replacement for your standard Lipton tea. Get into the recipe below. Bring water to a boil and add bee balm leaves. Cover and steep leaves, preferably overnight. 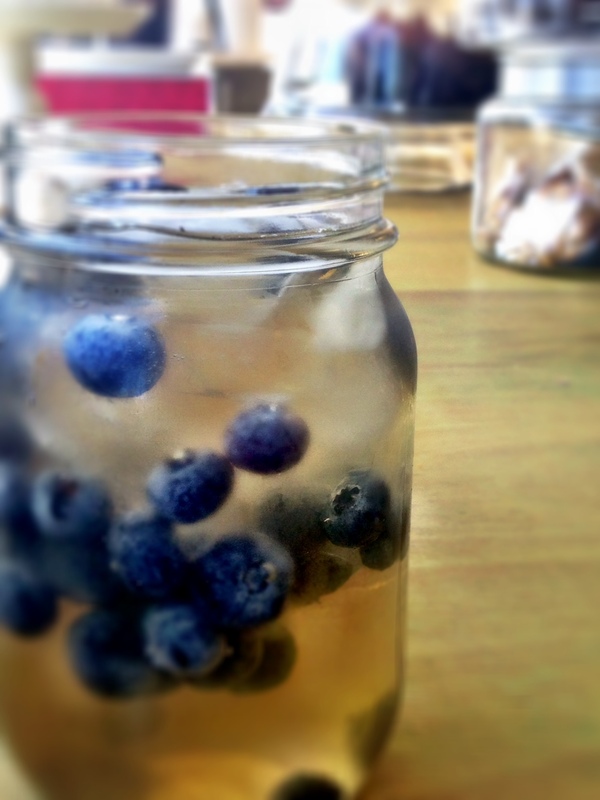 In large picture combine strained tea, coconut water frozen blueberries, and crushed. Add stevia to taste.